Today, BTECH has incorporated 24 years worth of battery monitoring experience and data to offer the world a way to virtually eliminate your battery failure risk. We’ve developed an advanced approach based on managing battery systems with real-time measurement data that is easy to implement. Mission critical customers demand partners that can deliver technically superior, high quality products and services; this is what you should expect from BTECH and what we provide on a daily basis. Planners from the Data Center, Industrial, Utility and Telecommunications markets know that incorporating BTECH into their plans is the best decision they can make on battery monitoring. 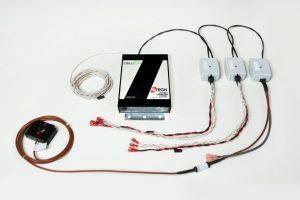 As an independent manufacturer BTECH’s engineers continue to discover and provide technological advances in battery data collection, analysis and integration, these advances are critical to maintain a competitive advantage. Today BTECH’s products are widely recognized as the benchmark in design, application and function. With over 7,000 installations worldwide, BTECH’s patented impedance method provides risk solid data accuracy and stability allowing more time to respond. No other system comes close. 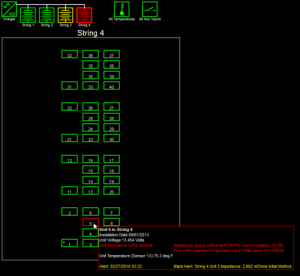 And with a load signal optimized to the battery type our system never subjects your batteries to a stressful load test. Plus, our system is not powered by your batteries avoiding unnecessary parasitic battery loads. 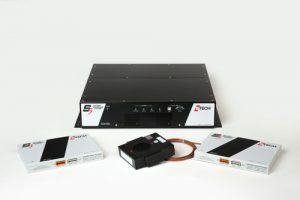 BTECH S5 Battery Monitoring and Validation Systems are designed specially for any battery system. 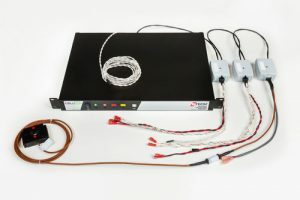 BTECH's impedance measurement technology is considered the reference method for stationary monitoring system ohmic testing. BTECH's S5 system has the sensitivity and high end filtering required to find failing cells in any application and USP/charger type. 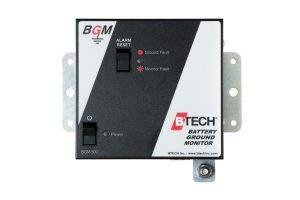 BTECH CellQ1 Battery Monitor is competitively priced for use on Gensets, spare batteries and small DC plants in any configurations and arrangement. 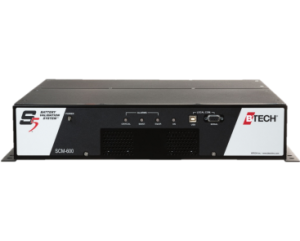 The CellQ1 is ideally suited for applications that support remote telecommunications, UPS systems, stationary battery systems and switchgear.